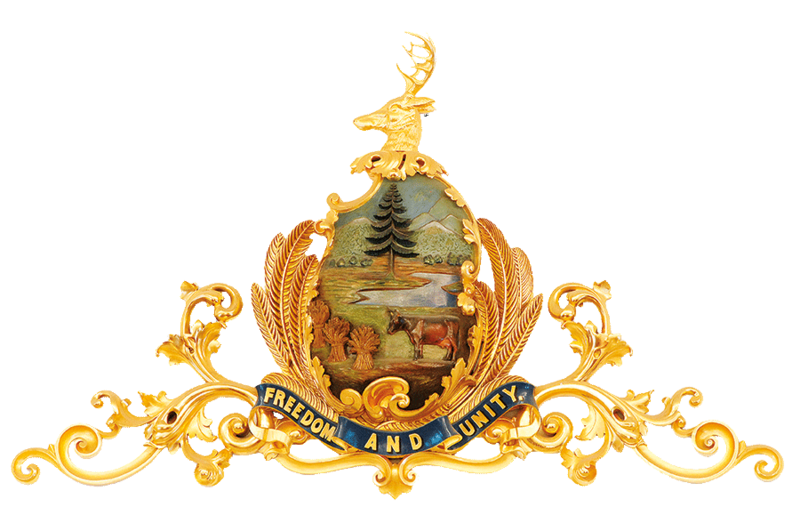 On October 24, the Friends of the Vermont State House with the Vermont Humanities Council and other supporters, hosted a day-long journalism symposium. More than 200 symposium attendees filled the House of Representatives chamber and galleries for the event. Videos of the entire program can be accessed here. One of the symposium's backers was The Center for Cartoon Studies, a school based in White River Junction that teaches the art of graphic narration and cartooning in all its many forms. 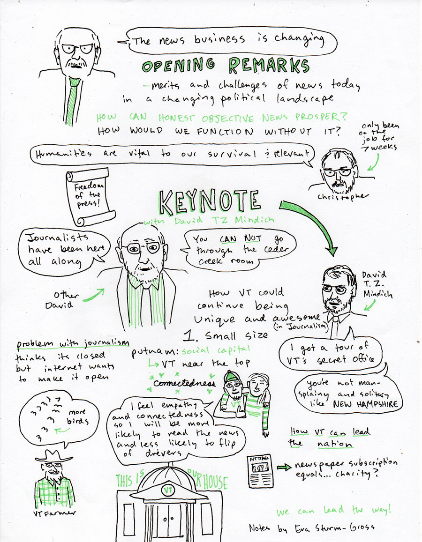 They graciously contributed the services of Eva Sturm Gross, who provided these graphic notes of the day's events. They were done at the State House during the program and posted in the cafeteria during the day.